Hello family and friends, near and far. Here is an update on life, an apology for the sporadic communication, and a testimony to the goodness of God regarding our last seven weeks. Our sweet Eden Evangeline was born on July 20 weighing a splendid seven pounds and twelve ounces. At six weeks she weighed a few tenths of an ounce less than that. I cannot recount every detail here, but we have been through many ups and downs as we realized that Eden was struggling to gain weight. From the beginning she was horribly fussy, but seemed to nurse well and be content afterwards. At her one week visit we knew she had not gained enough. At two weeks she had actually lost a little more. At our first lactation appointment they said everything looked okay, that she might have a small tongue-tie, but that since I was experiencing no pain in nursing that it probably wasn’t a huge problem. I had been letting her sleep long stretches and feeding her every four hours unless she woke up earlier so we decided that she just needed extra feedings and that we would continue going to have her weighed every week to see if there was improvement. She gained steadily but in small increments, we kept hoping she would turn the corner and take off. Her biggest gain was five ounces, but then only three – making it back to birth weight by five weeks. The doctor said a tongue-tie revision may or may not help. I wanted to wait; it was so tricky because she seemed to be nursing fine, was sleeping okay, had enough wet and dirty diapers, and was taking in the right amount as measured at the lactation appointments. At six weeks she had dipped just under birth weight again. So it was all-systems-go, whatever we had to do. We scheduled a tongue-tie revision the following day; I began pumping, and we began supplementing with formula. From the beginning, the Lord helped me to see that this was good for me. After six nearly problem-free infants, here was something new. A chance to be humbled, to learn – my inclination that it would work itself out was wrong. I’m so thankful for the advice and help from the doctor and lactation consultant. I cried at the thought of the fierce love I felt for Eden, the determination to see good done for her even though she was weak and needy and giving nothing in return. I knew that God’s love for me, his adopted child, was far greater and more perfect than that love I felt for her. Even in these circumstances. We knew that God’s wisdom and timing are perfect. That in His providence He gives things that are hard to understand. Why our seventh baby? Why right after we moved across the country? Why literally the day before we start back to school? I don’t know the answers at all, but I do know that this has been a time of weakness. And a time to see His perfect strength – whether it’s through a meal delivered by a friend, a text from someone who is praying for you, a song about His greatness, the ability to continue on through exhaustion, or simply the knowledge that His Spirit is at work in you when you can feel nothing else. There is not a perfect ending to this story as we are still quite possibly in the middle. Eden weighed eight pounds three ounces at her seven week appointment and that was a huge success. We have every reason to believe she will continue, but at several points in this process I thought we had figured things out. 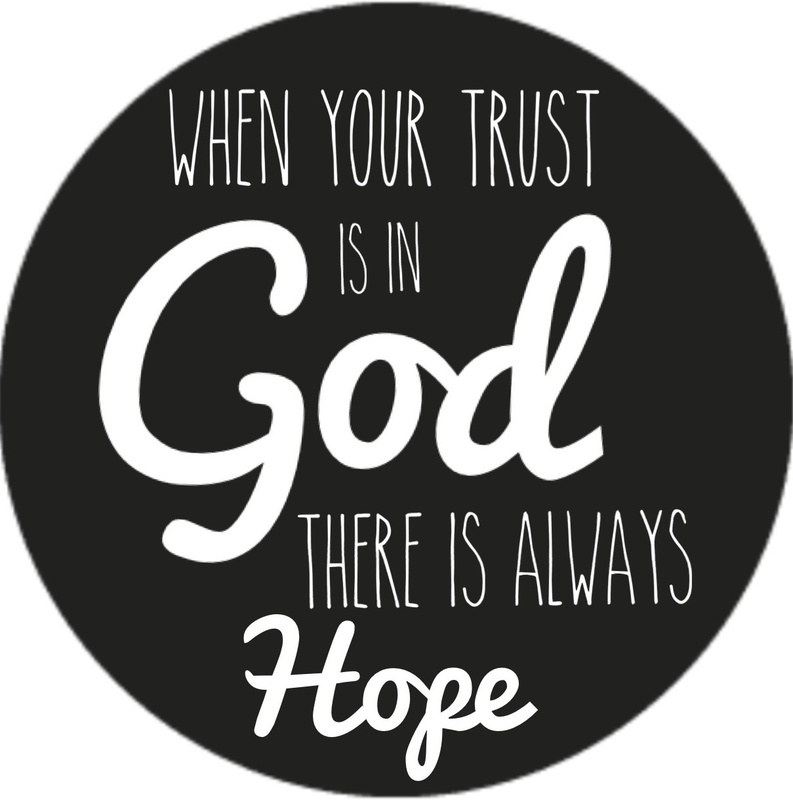 With our trust and hope in God, we are doing all we can to chunk that girlie up. Thank you so much to all who have prayed and offered encouragement and practical help. This is certainly light affliction compared to many others, but it has certainly been given to draw us closer to Christ as we see how much more valuable and sufficient He is than anything else. Eden, I tell you all the time, but we are so happy you are here. Already we long even more for that coming perfect fellowship with God and are grateful for the work of Christ to accomplish that for us. And we have your sweet name to help us remember. I found this fun little draft from awhile ago. Hope it’s an encouragement to someone today! If there is one physical state of being I have experienced most in the last ten years, it is being tired. I’m not speaking of the worked-all-day-in-the-yard good tired or the ran-a-marathon-that-I-trained-for-for-six-months good tired, but rather the I’m-making-a-baby-and-carrying-around-a-one-year-old-and-up-and-down-and-bending-all-day-and-woke-up-three-times-during-the-night tired. You will have to decide for yourself what brand of tired you are. But every stage has benefits and drawbacks. Every one! Maybe pausing to think about the graces given through this “difficulty” could be encouraging. When you’re tired it is often easier to say “no” to frivolous, external engagements. This is a good thing. No, I don’t want to scroll on facebook for forty-five minutes; no, I don’t want to watch the last three innings of that baseball game; no I don’t need to watch my thirteen billionth episode of Chopped. So there’s that. When you’re tired it is easier to see yourself as weak before God. This is an especially good thing. Yes, I can do nothing good in and of myself. Yes, if I make it ’til tonight it will be God’s grace that has sustained me; yes, your mercies are new every morning; yes, God’s faithfulness shines brightest against the backdrop of human faithlessness. Relying on Him moment by moment becomes not something we know we should do, but our basic survival instinct. When you’re tired it can be easier to be compassionate with others. Sometimes you just don’t have the strength to be bothered with the foibles or eccentricities of others. Getting upset may take that last shred of energy that you will need to load the dishwasher that night. Or whatever. Relationships can be the precious comfort they were intended to be through the weariness of life. Lest you pull an all-nighter to be on the receiving end of all these benefits to being tired… here are my views regarding the drawbacks. Tiredness exposes our hearts (perhaps this could be a benefit). If bitterness or selfishness or impatience have been lurking under a well put-together surface, being tired will probably bring those to the forefront. Tiredness keeps our minds from working like normal. And we all collectively groan. Tiredness keeps us from keeping up with routine tasks leaving us to feel overwhelmed and incompetent. Sometimes being tired hurts – headaches, soreness from our body not having enough horizontal time… bleck. Maybe there are things you can do to get a little more rest or maybe you just have to hang in there. Living in community with your husband and other sisters in Christ will help you know if you’re more in the “I need to work at getting more rest” stage or the “I’m doing the best I can and have to fight for joy and contentment” stage. But there will be times (#youngmoms) when being tired just becomes a part of your life. We can rejoice in God’s sustaining grace and rest in His faithfulness that reaches the sky. About this time last week, I was down. Down on housekeeping, down on homeschooling… cooking, kids, you name it. When I look around and find myself so dissatisfied with what I see, feeling helpless to turn any of it around, I’m often forgetting some extenuating circumstances. In this particular case, my husband just graduating from seminary! A four-year long culmination for him. Not to mention more than a week of careful preparation on my part to insure that everything went smoothly that weekend so we could fully enjoy celebrating together. So yes, there were rotten bananas on the counter that just hadn’t gotten made into banana bread. The laundry that had been so carefully taken care of before Friday had once again spiraled out of control. The two-year-old who had completely mastered potty training started having accidents out in public when I had no extra clothes and no idea what to do about the mess. But accidents and dirty laundry and rotten bananas are not the point. The point is that I let these things convince me that I’m a complete wreck who will never get it right no matter how hard I try. Which is completely untrue. What is true is that I am a very average homemaker who most of the time keeps everything in line enough so that our family can run smoothly and enjoy each other, who some of the time can do above that, and who sometimes bottoms out and lives in a very messy house for a few days before bouncing back. When you’re pregnant and there’s big a big abnormal life event, you might have to just rest for a few days. And no, your housework will not get done while you’re resting. And that’s okay. Because somehow, in some way, I usually bounce back. It’s not normally from the big, all day, get-this-place-cleaned-up times I dream of; it’s usually in very small, indiscernible steps. Then one day I look around, and things have gotten better. It might be the next week, the next month or the next year, but most of the time if you wait long enough, things will bounce back. Just wanted to say a quick hello to you, the readers! This may be the longest stretch of time I’ve gone without blogging! We did indeed have a lovely and touching graduation. God blessed and everything was smooth and wonderful. It’s hard to believe that sweet time of life has come to an end. We currently have three days of homeschooling left before we finish our first year. And then, it’s get ready for all things baby! Somehow that has given me the itch to rearrange everything in the house. = ) I am woefully behind on sharing pictures. Keeping my fingers crossed that I will have some ready for this Saturday. Until then or whenever, thank you so much for reading and for your sweet support. who’ve found their home with God. your precious blood has power to save. that it is not death to die. to live among the just. When we were expecting our first daughter, it didn’t take us long to settle on the name “Hope.” Her name has several layers of meaning for us. One in particular has just happened this past year. There will be days where I feel like I’m constantly working with the younger girls to just obey. How hard can this be? Your life (and mine) would be so much easier! I really am doing what’s best for you! Though she’s certainly not perfect, Hope for the most part obeys with a good attitude. Sophia even does most of the time. I have to stop and realize that they are two to three years further along in this process than Gracie and Mckayla. This wouldn’t have occurred to me at all until my third or fourth child. (This is one of the blessings of having so many close together!) I can see in living color the different stages of learning obedience. I can remember when I thought we would never get Sophia straightened out with certain issues; and now that we’re re-living many of those with Mckayla, it doesn’t feel quite as hopeless. I guess my point is, tonight, if you only have one or two small children and feel like you can’t see the light at the end of the tunnel… it’s there! It might take a few more years to see it, but faithfulness to God’s Word will bring fruit! If you feel like you got a late start and are just now beginning to work with older children, persevere! The goal is not to make your life more comfortable. Four and five year olds have their own unique challenges- that we’re just beginning to learn. But the goal is for your child to bend that oh-so-destructive will to their parent’ authority, and eventually to God’s. My sweet little Hopey brings me joy and peace in so many ways. Here’s to “Hope”-ing the others follow along. I don’t even want to say. Mornings like that are no fun. I’ve learned from experience that the worst thing to do is despair. Sometimes it feels like you can’t walk away from that voice in your head. Even when I know that I’m behind and in less-than-desirable circumstances, I can’t go back and change anything. In the moment, I have to do what’s right. Keep fixing breakfast. And be joyful and thankful. Seriously, the last few days have felt like 600,000 inner battles one right after another. Then go to bed, then do it again. Not giving in to despair or discouragement or feeling defeated is a victory. Just because the temptation is there to wallow in all those emotions doesn’t mean we don’t have a choice. The moment, minute, and hour at hand have not been messed up yet. Task. Frustration. Discouragement. Repentance. Hope. Task. Thanks. Rejoicing. Repeat. I have to say that yesterday was even harder than the day before with crazy things coming out of all sorts of places. If you’re having a day like that, don’t give in. Don’t despair. On September 11, 2001, I was watching a video of a choral group performing this song when I found out the tragic news. Somehow the lyrics are still poignant to me when I contemplate our country. .... I'm so happy you are here! Staying faithful in everyday life and keeping eternity as my motivation are a challenge for me. The gospel is my refuge.